Host: Austin Martin “Homesteady Live“ Audio in player below! 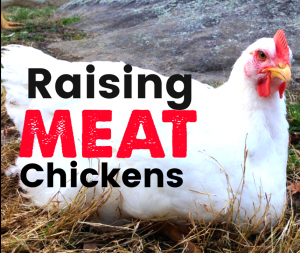 Should you raise meat chickens on your homestead? 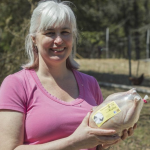 Chickens are commonly called the “Gateway Animal”, and so it makes sense that Chickens are a great way to get started with raising your own meat. But raising meat birds is not the same as raising egg laying chickens. When the goal of raising your chickens is to put meat in the freezer, you need to consider the breeds, feed, and equipment that you will need to get your birds from the pasture to the plate. We started raising our own chickens 5 years ago. The first time we raised chickens we raised just a few. A friend showed us the basics on how to process, and then we were off. Now every year we raise enough chicken to last our family chicken for a year. 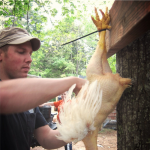 Raising chicken is a great way to get your feet wet in the world of raising your own meat. BUT, is it worth it? With organic chicken available at the supermarket for just a few dollars per pound, is it worth all the work? And what will it cost you to do it in the first place? Find out in this episode of Homesteady Live, and see if Accountant Mike gives this venture a “Thumbs Up” for my homestead and yours. Listen to this broadcast or download “Raising Meat Chickens” in player below! Archives, coming shows & more for Homesteady Live HERE! Next: Next post: Tactics and technology!